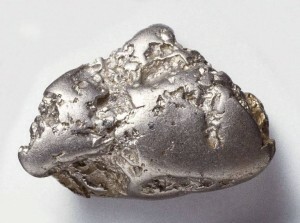 Platinum is a chemically inactive and comparatively rare metal that is considered more precious and valuable than gold. The metal is one of the transition elements in group 10 (commonly referred to as VIIIb) of the periodic table of elements. The atomic number of the metal is 78. Platinum has a hardness rating of 4.3 out of 10 and has a relatively high point of fusion, is highly ductile and greatly malleable, expands a little when exposed to heat and has a comparatively high electrical resistance. The element is relatively chemically inactive and highly resistant to corrosion by water, air, ordinary reagents and single acids. The metal dissolves slowly when exposed to aqua regia which prompts the formation of chloroplatinic acid; can be corroded by halogens; and combines upon ignition with sodium based compounds such as sodium cyanide, sodium nitrate or sodium hydroxide. Platinum has a melting point of 3214°F or 1768°C, boiling point of 6917°F or 3825°C, has a specific gravity of 21.45 and an atomic weight of 195.08. Platinum currently ranks around 72nd in terms of natural abundance amongst the elements found in the Earth’s crust. All platinum with the exception of the mineral sperrylite (it is platinum arsenide and is found only meagerly in a few places around the world), occurs in the metallic state and is most often combined with other platinum metals. Nuggets of the element that weighs around 21 pounds or 9.5 kilograms have been found. Due to the metal’s chemical inactiveness and high point of fusion, platinum is very valuable for use as laboratory apparatus such as tongs, crucibles, funnels, evaporating dishes and combustion boats. Meager amounts of iridium are typically added to increase its strength, durability and hardness. Platinum is also utilized in instruments that are usually used in measuring extremely high temperatures and for contact point in electrical tools. Platinum block or platinum sponge (forms of finely divided platinum) is utilized widely as a catalyst in the chemical industry. 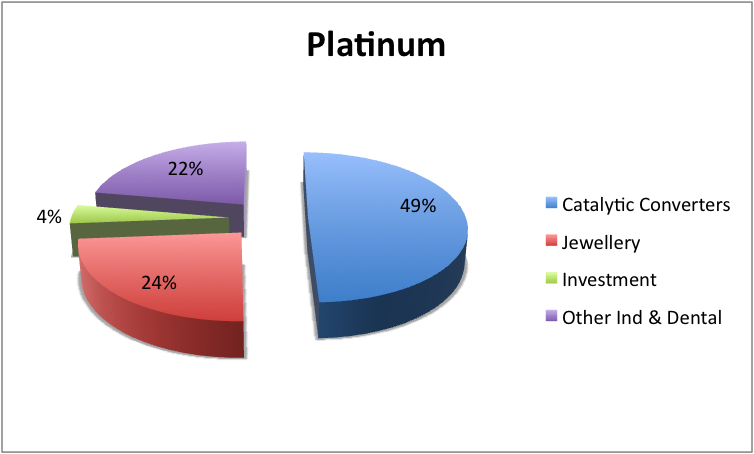 A significant amount of the platinum is used in the United States in making jewelry and is most often combined with gold. The metal is also used for dental fillings. Majority of industrial use ceramics are inorganic compounds of carbon, oxygen or nitrogen with other metals or semimetals. 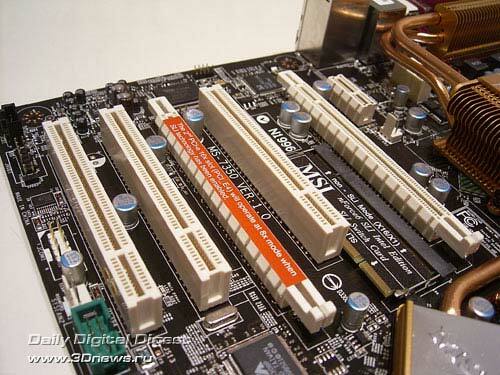 As a result, ceramic materials are less dense than majority of metals. Thus, a component made out of a light ceramic could possibly have the same strength and durability as a component made out of a heavier metal. 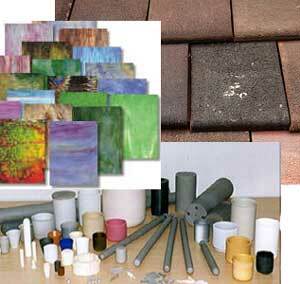 Furthermore, ceramics are extremely strong and robust and highly resistant to abrasion and every day wear and tear. 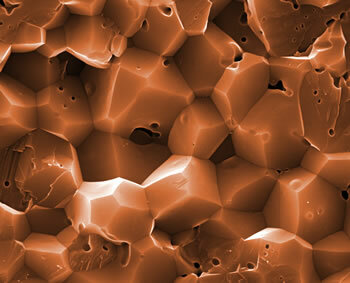 The hardest known ceramic material is diamond which is followed by born nitride in its crystal cube form. Silicon carbide and aluminum oxide are likewise tremendously hard materials and are most often used to grind, sand, cut and polish other hard materials such as metals. Ceramics have great strength and durability, showing considerable rigidity when subjected to bending and compression. Bend strength (the amount of pressure necessary to bow a material) is most often utilized to ascertain the strength of a ceramic. Zirconium dioxide which is one of the strongest and hardest ceramics has a bend strength that is similar to that of steel. Zirconias (ZrO2) can maintain their strength up to temperature of about 1652° F or 900° C; on the other hand silicon nitrides and silicon carbides can maintain their strength up to temperatures of around 2552° F or 1400° C.
The aforementioned silicon ceramics are utilized in high temperature situations and applications such as in making space ship armor and gas turbine engine parts. Even though ceramics are generally temperature resistant, strong and resilient, these materials are considerably brittle and may break when dropped on a certain angle or when subjected to sudden temperature changes.